Off in the council’s field? Be ready at the cry. To take her to your bosom? Does a father home await you? A sister whom you love? From all her hallowed fires. Can you withstand their calling? You can not? Now, charge fiercely! We gained by honest toil. Out came Alabama and took her by the hand. Has lengthened the link of fate. The “Bonnie Blue Flag” was first published in 1861 and became a popular song throughout the Confederacy. 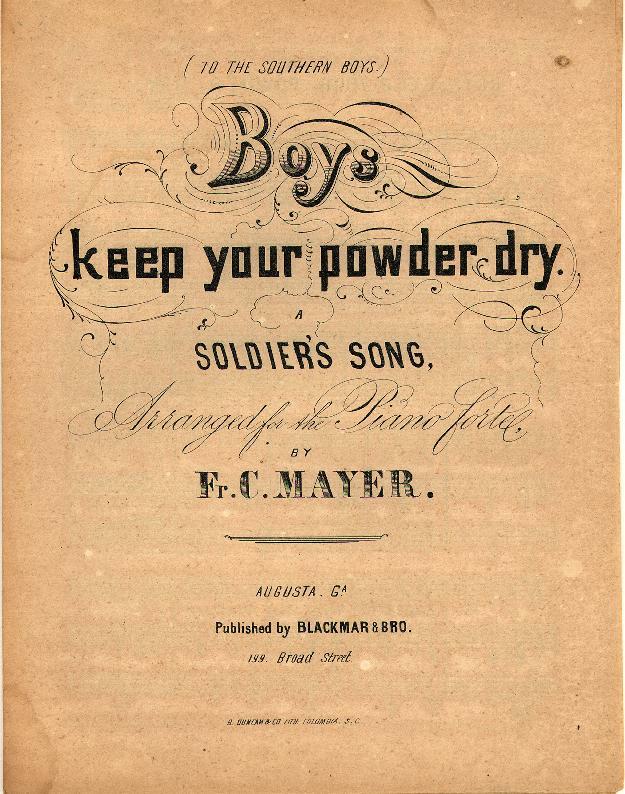 The Fayetteville Observer published the lyrics in 1863 with some re-writes from a soldier at Fort Fisher. 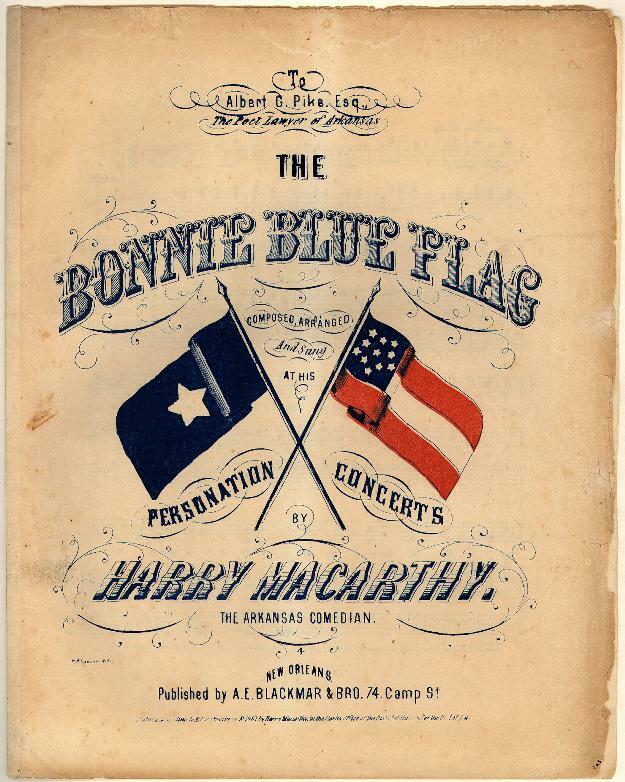 Cover of sheet music for the Bonnie Blue Flag, collections of Duke University, Historic American Sheet Music Collection. Source: Fayetteville Observer, February 19, 1863 as found on www.ncecho.org. 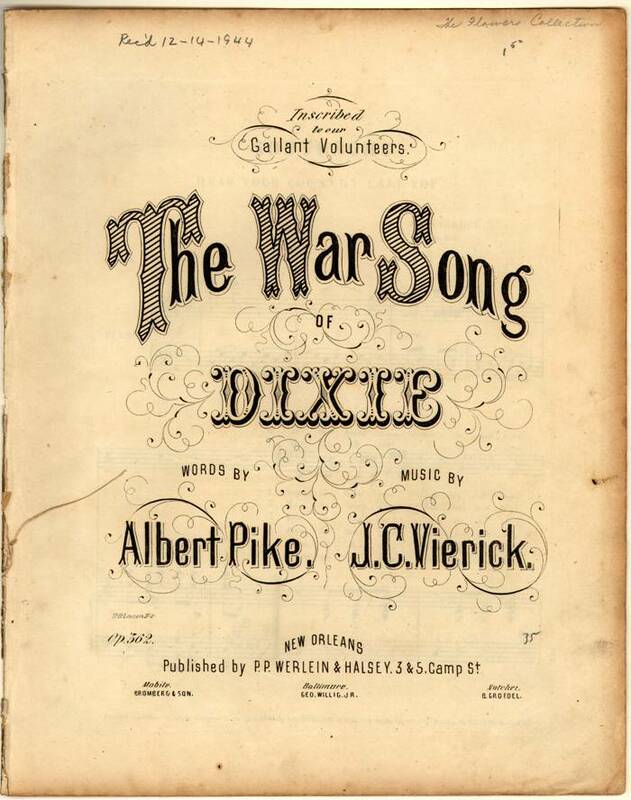 Music at Duke University’s Historic American Sheet Music Collection. Up, lest worse than death befall you! To arms! To arms! To arms, in Dixie! Let all hearts be now united! And live or die for Dixie! And conquer peace for Dixie!